The BioRegion of Catalonia directory gives users access to the companies and organizations that work in the healthcare and life sciences field in Catalonia. Each file in the directory includes a description of the company with several categories depending on the sector to which it belongs (biotech, pharma, medtech, digital health, etc. ), the subsector, information on its pipeline and funding. The database features information on 1,200 companies and organizations and is updated every day. It is the result of an agreement between Biocat and Venture Valuation, which owns the international Biotechgate database. 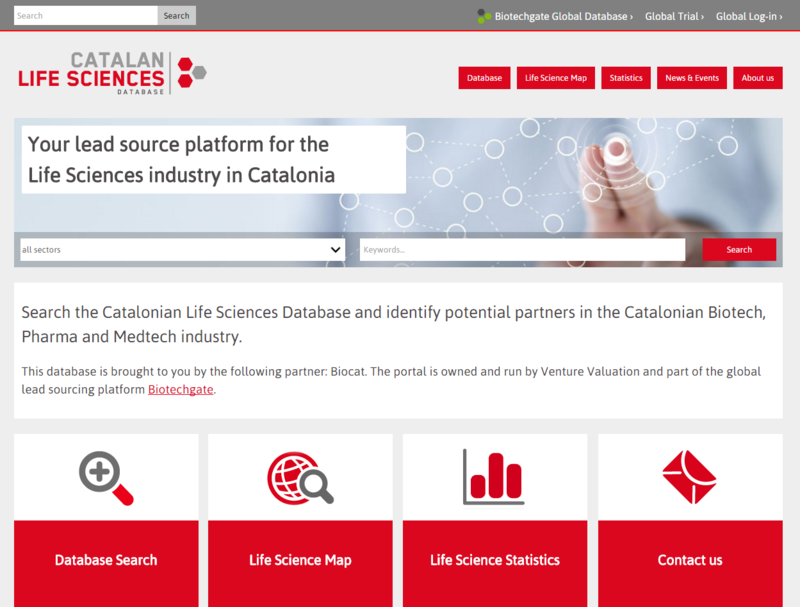 You can access and consult the directory of the BioRegion on the web www.catalanlifesciences.com where, in addition to searching by name and by sector, you can also consult statistics and see the entities located on a map, among other features. The BioRegion is the health and life sciences cluster in Catalonia, meaning the group of companies, research groups and bodies, hospitals, universities, administrations, researchers and entrepreneurs, innovation and knowledge-transfer support structures working in Catalonia in this strategic sector.